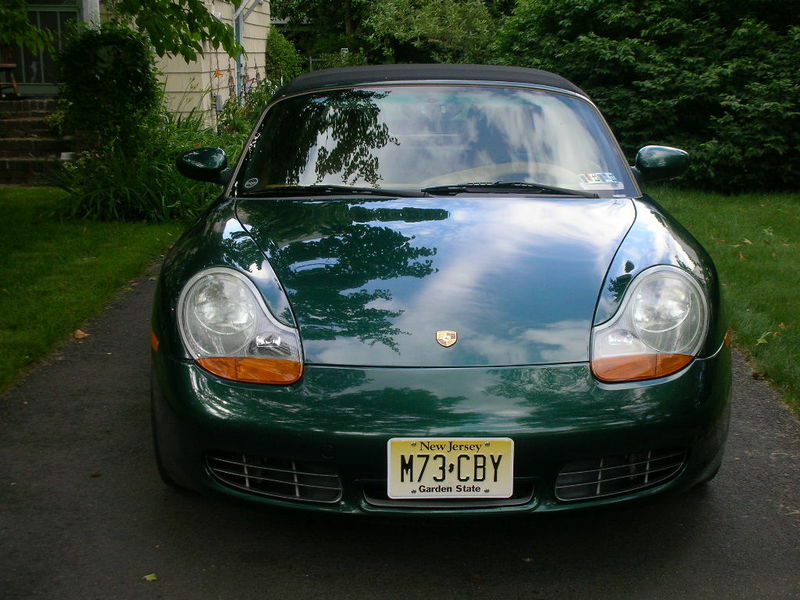 I'm looking to find a green 986 s or 987 base or s, preferably with a tan interior. If it's a 986, I'd prefer it to have the IMS bearing done, unless if the price is right. Has to be a manual. Thank you, I'll continue to lurk! Last edited by spd87; 11-12-2017 at 03:11 PM. 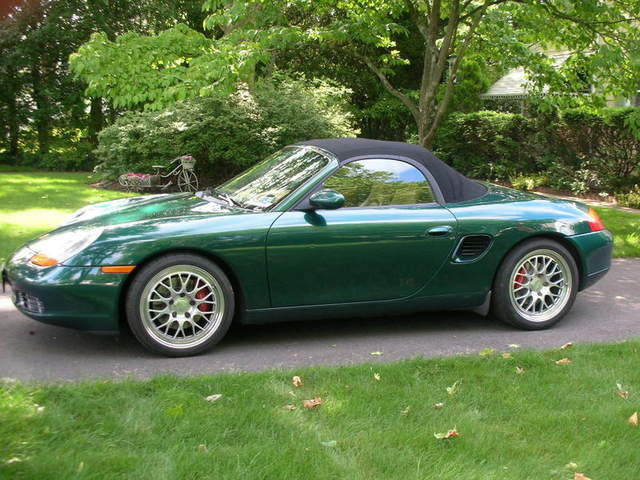 There’s a green over beige (nice color combo) 2000S for $13,900 on the PCA classifieds ( #31004) right now. No mention of IMS upgrade. Thank you! I'll join the PCA if I start getting desperate here. Appreciate the feedback. 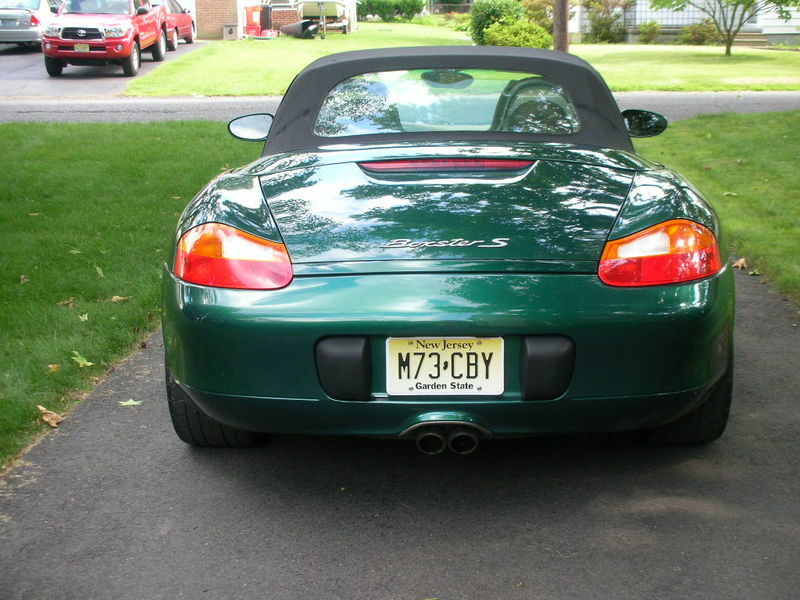 I have that car... 2002 Boxster S , Rain Forest green with tan interior. I have it set up as Street legal /Track ready..... upgraded suspension ,brakes, Fikse wheels (02 lightweights and also available)Borla exhaust, IPD intake, Sparco seats and harnesses (street 3pt too). Stock seats would be included. Mileage is 142K and runs like new. No ims issue or bearing upgrade. Selling my Dark Teal Metallic over gray 2003 with 132k miles for $10800. ONE OWNER. I can send pix and particulars if interested. Have had no issues with IMS bearing. Car is in excellent condition....all stock. Last edited by green03; 11-13-2017 at 03:03 PM. Appreciate your guys input, but I found something else. Will continue to lurk!